At AFG LAW, we understand that facing the possibility of your marriage coming to an end is a complicated and upsetting experience. Our solicitors can offer legal advice on all areas of divorce, whether it is regarding child residence (custody) or the division of assets. There are no easy answers, but our solicitor will do their best to guide you through your divorce difficulties, and help you achieve appropriate goals for you and your family. If you would like advice on divorce proceedings or separation, contact the family law divorce solicitors at AFG Bolton. You can call our Bolton office on 0845 074 3491, send us a message through the contact form or email paralegal@afglaw.co.uk. Our solicitors have years of experience helping couples come to an amicable divorce or separation. We know that every case is different and this is why we tailor our service to each client’s specific needs. AFG divorce solicitors are also members of the resolution code of practice. This means we will always pursue a constructive approach that will preserve people’s dignity and encourage agreements. 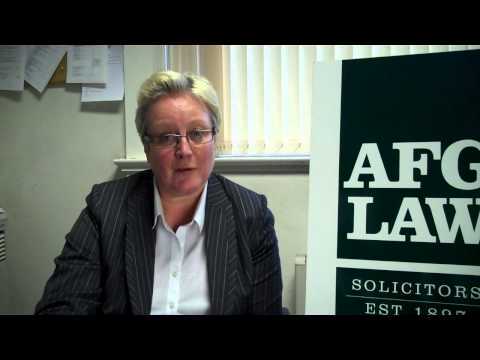 If you would like further information on divorce or separation, contact AFG today. Whatever your situation, AFG have the experience to help. Our family law solicitors will be happy to discuss your case and advise you on the next steps to take. You can call the AFG family law team at our Bolton office on 0845 074 3491, fill in the contact form or emailparalegal@afglaw.co.uk.